Home > Blog > Are You Keeping Phentermine A Secret? Are You Keeping Phentermine A Secret? For many people embarking on a weight loss journey, telling their family, friends, and colleagues about their diet helps them to stay accountable and ensures that the people closest to them can offer support when it’s most needed. However, when those around you are not supportive about the choices you make to lose weight, it can be easier to say nothing so as to avoid their judgment. This is particularly true of many people who take phentermine to lose weight, as misconceptions about ‘diet pills’ and how they work can often force people into keeping phentermine a secret, with some even deciding not to tell their partners about their prescription. Here we discuss the reasons people make this decision and how to deal with criticism you may face. Choosing who to tell about your weight loss plans is a very personal thing, and what works for one person might not work for another. While some may feel that a good foundation of support is the key to their success, for others, telling their family and friends about their healthy eating and exercising intentions might leave them feeling pressurized rather than supported. Often, particularly for those who have previously tried to lose weight, they can feel that they are on ‘failure watch’, and that those closest to them are ready with commiserations rather than congratulations in anticipation of another failed attempt. While knowing that your family and friends are there to give you the encouragement you need can really make the difference to your mood and motivation, the wrong kind of people around you can negatively affect your chances of success, so it’s important to select the right kind of support. It’s a sad fact then when you embark on a new chapter of your life, some of your friends and family members may not be as supportive as you had hoped, and starting a weight loss journey is no different. Some people may be doubtful, feel that you’ve changed, or even be jealous of your success. As hard as it may be to ignore their negative comments, you owe yourself more than that – this is your body and your life, and they need to accept your new priorities. Try to spend more time with your supportive friends and family members and let your weight loss success show your critics how serious you are; if they really want the best for you, they’ll come around eventually. However, for those who choose to lose weight with phentermine, the issue of taking a weight loss medication is also something which may cause those around them to be less supportive than they might ordinarily be to those trying to lose weight. Unfortunately, misconceptions about weight loss medications and how they are seen as ‘cheating’ to lose weight can mean that those taking phentermine are met with criticism rather than support, and may be forced to keep phentermine a secret from their friends, family and even their partners. The best way to deal with your critics is to show them that they’re wrong. If they don’t think you’ll stick to your plan then showing them how committed you are will make successfully losing weight even better. But if someone close to you is against using weight loss medications like phentermine, then explaining how taking phentermine will help you should give them reason to trust your judgment that phentermine is the right choice for you. People close to you may be worried about taking weight loss medications, especially as many people are aware of the possible side effects which occurred in people taking the phentermine and fenfluramine combination Fen-Phen in the 1990s. However, as you can read here, it was not phentermine which was responsible for causing these harmful side effects, but rather the fenfluramine component of Fen-Phen, which has since been withdrawn from the market. In contrast, phentermine has been used as a weight loss medication for over 50 years and is now the most commonly prescribed weight loss medication in the USA. Reassuring your friends and family that many people take phentermine and that you will be monitored by your doctor while taking it will help them realize that it is a safe weight loss medication which has helped many people with their struggles to lose weight. Others may consider taking weight loss medications like phentermine to be ‘cheating’, but as you will show them, to successfully lose weight and maintain that loss, just as with any diet or lifestyle change, you have to change your habits in the long term and not just for a limited period. While it is true that some people expect phentermine to do the work for them, although they are likely to lose weight due to phentermine suppressing their appetite, if they have not adopted healthy habits then they are also likely to regain some if not all of the weight that they had lost. As you may need to explain to people, phentermine is a tool which helps many people to lose weight, and often those who have tried and failed to lose weight without help from weight loss medications. Phentermine enables those taking it to regain control over their relationship with food and provides them with the focus and energy necessary to embark on what can be a long journey to their goal weight. It is not that those who choose to take phentermine are in some way cheating, but rather that they have accepted that they need additional help to get themselves on the right track, which is just what phentermine is intended for. Those who take phentermine will have to work just as hard as anyone else trying to establish a healthier lifestyle in order to lose weight and successfully maintain that loss, and will also have to deal with potential side effects and withdrawal symptoms at having to stop taking phentermine after a limited period of time. Although you may prefer to keep the fact that you’re taking phentermine a secret from certain people in your life so as to avoid their judgment and criticism, ideally you will have at least one person you can confide in about your weight loss journey with phentermine. But if you’ve decided not to tell anyone about taking phentermine, then online weight loss support groups are great to connect with people in similar situations. Unfortunately, many people taking phentermine can also face criticism online for choosing to take a weight loss medication to help themselves successfully lose weight. Some people on similar weight loss journeys cannot accept that while some people can lose weight without medical help, others struggle due to psychological and physical issues which impact factors such as their relationship with food and their ability to exercise. This is why the Phentermine.com support group on Facebook can be a great help to many people losing weight with phentermine as what sets this support group apart from others is that it’s specifically for you. 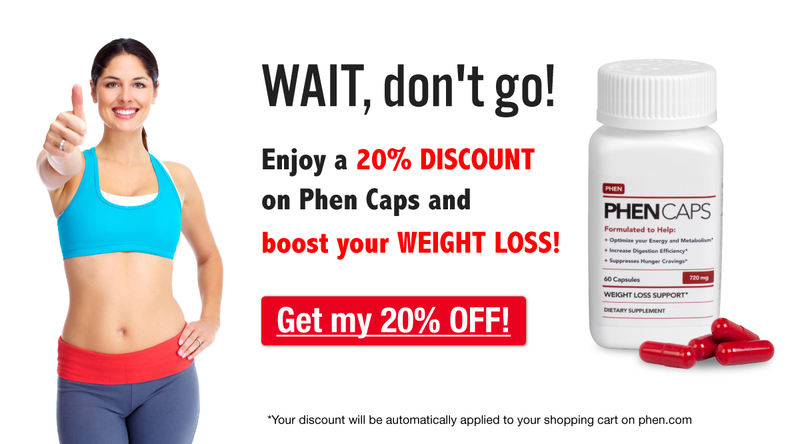 So whether you’re on your weight loss journey with phentermine or a phentermine alternative, such as Phen Caps, you can be sure that there are people in the group who know exactly what you’re going through and are there for you with advice, support, information and experiences to share. The support group is extremely welcoming to new members with all types of questions and experiences, and there is no judgment passed in the support group for the choices you make. Are you keeping phentermine a secret? If so we really want to hear from you, so please let us know the reasons for your decision by commenting below!